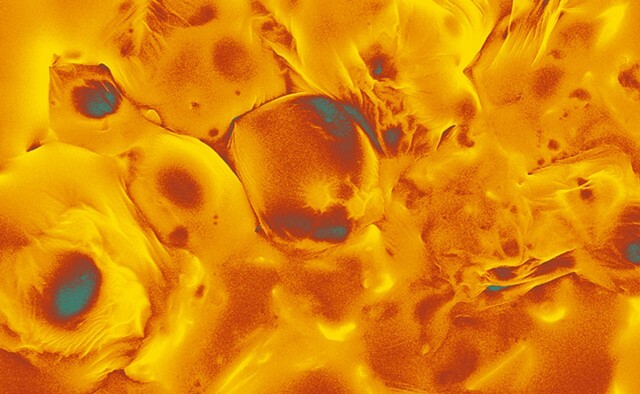 False-coloured scanning electron micrograph of crystallized ginger candy (ginger and cane sugar). Crystallized ginger no longer conforms to the natural, hollow honeycomb pattern found in raw ginger. It has been transformed into the irregular swollen forms seen here. Width of image is 370 micrometres.